Paul Smith woven clothing labels with dressmaker pins on canvas 60 x 83 cm. Recently commissioned by Paul Smith for his collection. 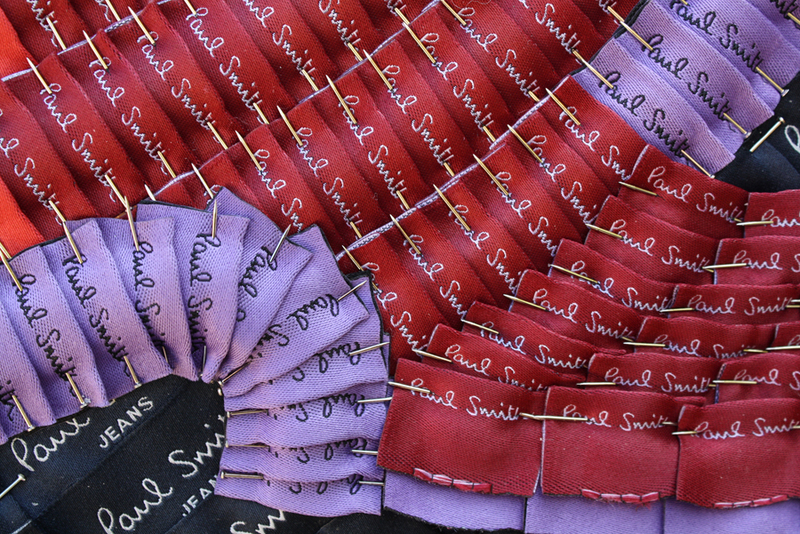 Thousands of red, violet and blue Paul Smith labels are attached to the canvas in neat rows using dressmaker pins. The luxury of working with an unused supply of woven labels is reflected in the repeat pattern and highlights the process of making. A restricted palette has allowed colour to become the subject of the canvas, which on closer inspection reveals the value of the label. Contemporary label identities provide a record of modern manufacture and dress. This is similar to the impressionist’s use of painting to record contemporary clothing and rise of consumerism in the late 19th century. 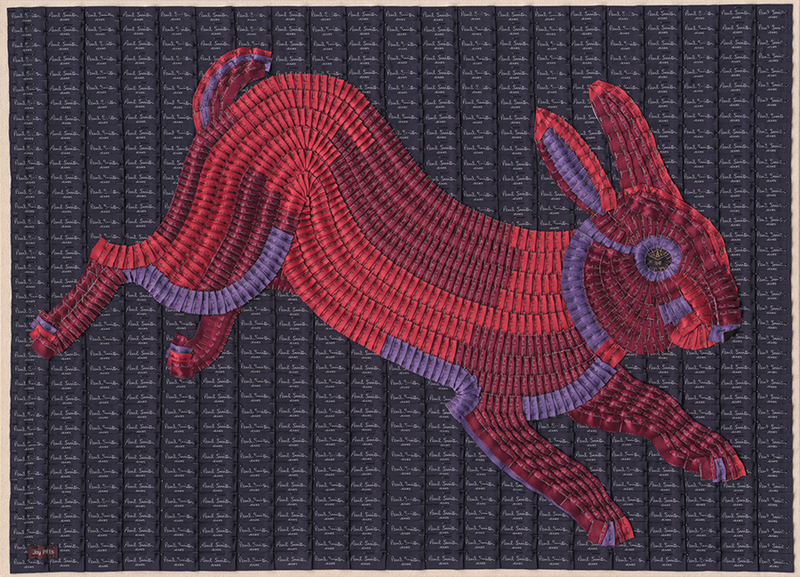 Limited Edition print available of Red Rabbit 54cm h x 72cm w contact joy@joypitts.co.uk.